This time of year is so much fun at my house. I simply walk outside and pretty much anything and everything I want is just a few steps away. This is certainly easier than placing an order from the wholesaler. Unfortunately I can’t produce the quantities I need, but my gardens are certainly a nice little “ace in the whole.” Fun little miracles are always happening here. 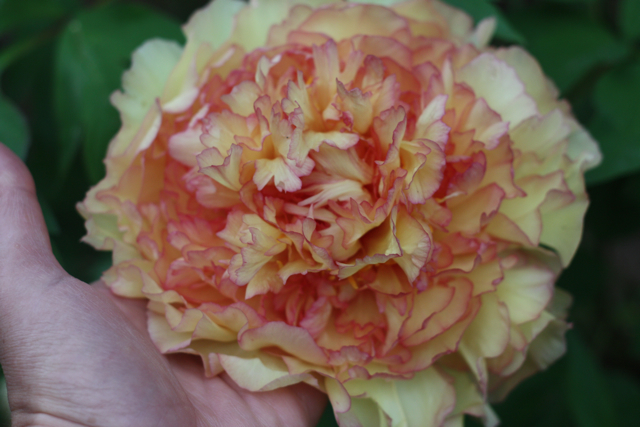 Just yesterday I found my yellow tree peony blooming for the first time. I have been waiting for four years to see a bloom on that plant. Oddly enough I just happened to have a Monday wedding if you can believe it. Sarah had really wanted to have yellow peonies in her bouquet but due to the outrageous cost of these specialty blooms we pulled them from the order. Low and behold, what did my garden do, but provide Sarah with this amazing speciemen. Jackpot baby!!!!!!! 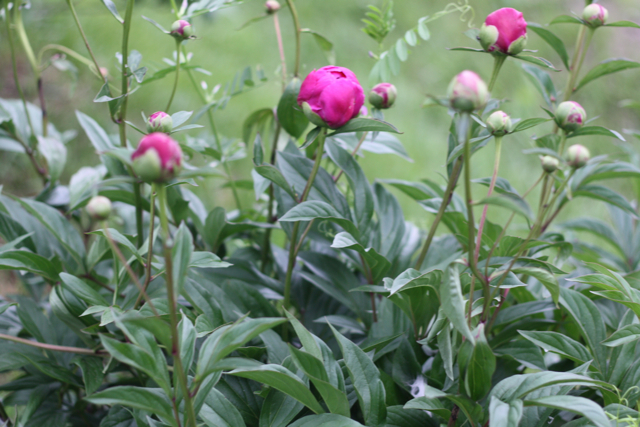 We have hundreds of peony that will be ready in just a few days. 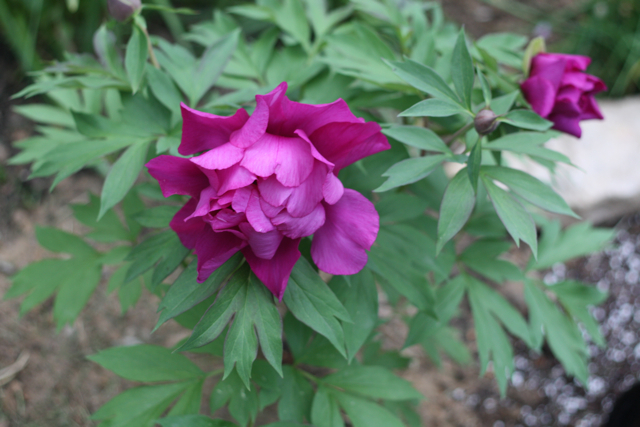 This is one of my new tree peonies I just got from Morgan at Petals and Hedges. This lovely viburnum is ready and waiting in my garden. 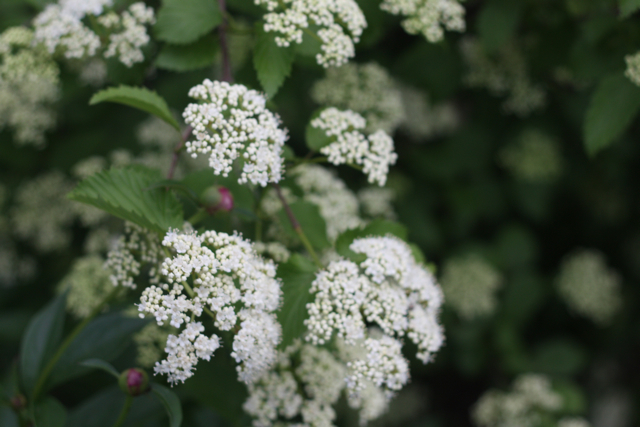 Most people don’t realize that there are many different varieties of viburnum and thankfully I have most of them here on our property. Just a few weeks ago I harvested probably 40 buckets of the snowball bush viburnum. At $20.00 per 10 stem bunch (wholesale) I was mighty happy I had planted the viburnum years ago. 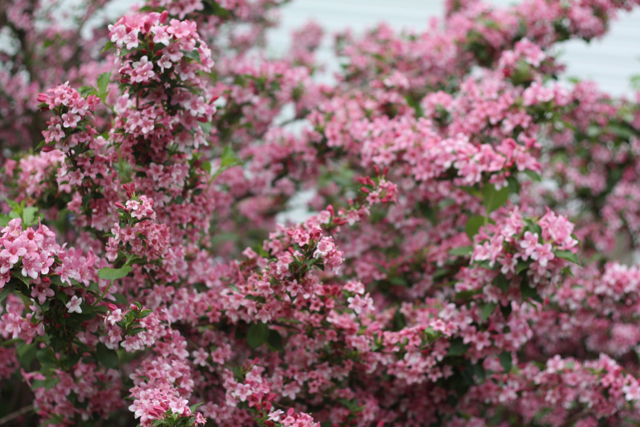 This is my Weigela bush, this is such a beauty and one that many people don’t know about or use. It rocks!! 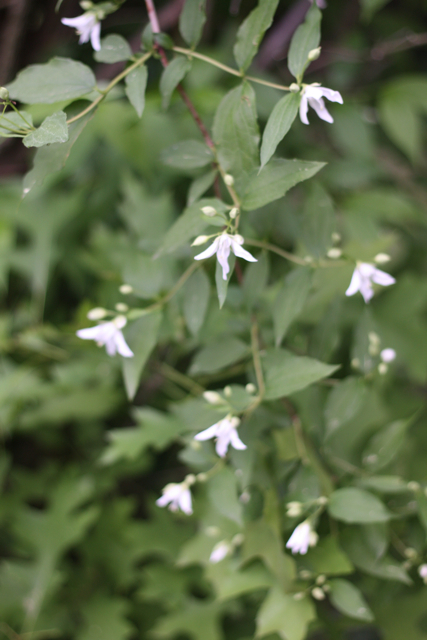 This is my Mock Orange, it’s the most dainty of my specialty blooms. I love to use her in trailing or cascading designs. This is a very old classic. 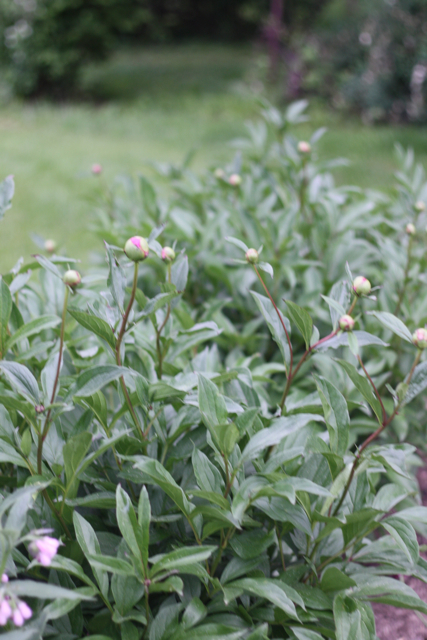 I have several varieties of this shrub as well. 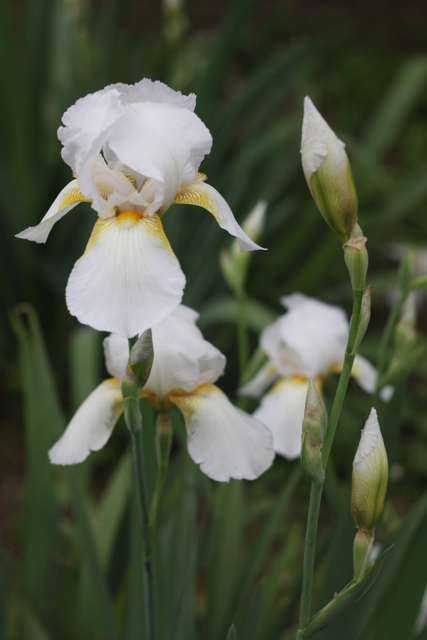 Iris are in bloom everywhere!!! Love them, and the scent is awesome. 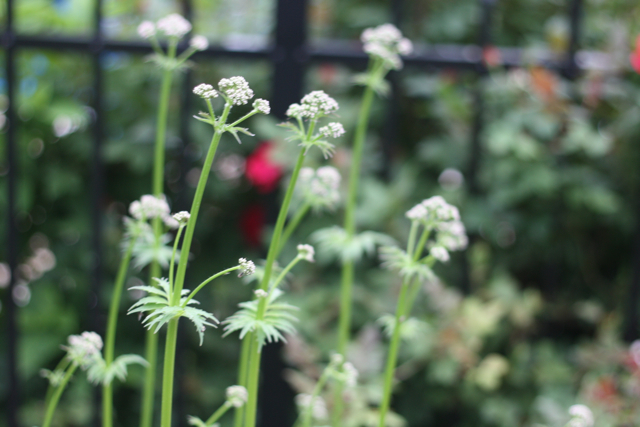 Jacobs ladder will be in bloom in just a few days, these will be amazing blue flowers!!! 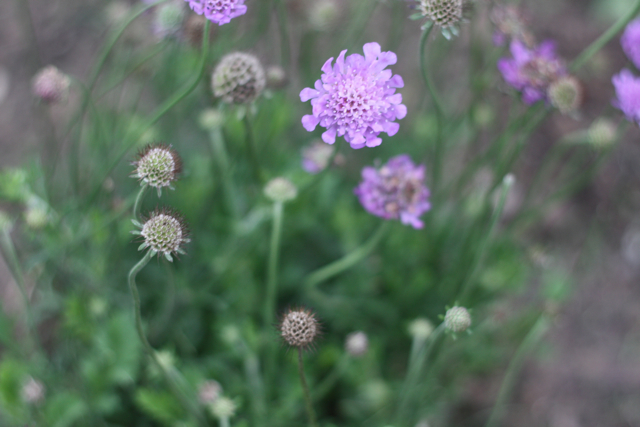 Scabiosa flowers become scabiosa pods. I know, I am ridiculously lucky and I am so glad I took the time to photograph my babies and share them with you. Again Jackpot!!!!! 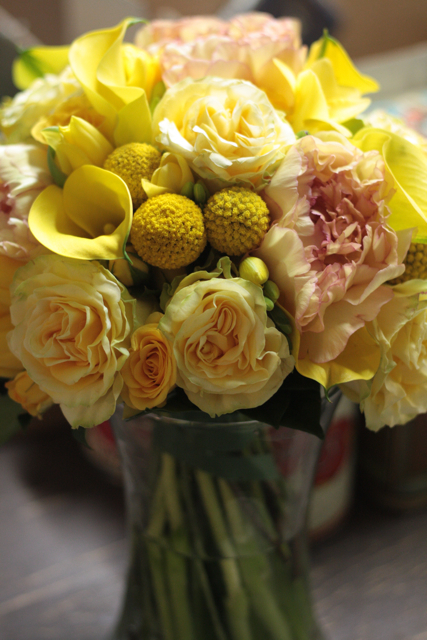 I LOVE that yellow peony!! So pretty! Love those yellow peonies. I have yet to see one in my lifetime. I planted a few ones last year. I have two stems growing. Let’s see what the other six plants yield. Clearly it will not be this year. That is one very lucky bride to get those blooms in her bouquet. Beautiful! Unfortunately I was not blessed with a green thumb. My family says that plants scream when I get close…lol. I am way way way beyond insanely jealous of your flowers…remind me again…WHY do I live in Texas? !